In the United States, the second leading cause of blindness is glaucoma. This eye condition causes more intraocular eye pressure than normal. The optic nerve can be affected; as a result, causing problems in how the eye communicates with the brain. Glaucoma is typically diagnosed in people that are older than 40. However, every age group has the potential to be affected. African Americans are particularly susceptible, and they tend to suffer from this disease at a younger age and experience more devastating results from it. You are more likely to be diagnosed with glaucoma if you are Scandinavian, Inuit, Hispanic, Japanese, Russian, Irish or African American. In addition, if your vision is already bad, if you are more than 40 years old, if you have diabetes, if glaucoma runs in your family, if any of your eyes have experienced trauma or if you take prednisone or certain other steroid medications, glaucoma is more likely. This type of glaucoma gets worse rapidly, and patients often experience a great deal of pain. As a result of a blockage, aqueous humor fluid remains trapped in the eye. Individuals that are diagnosed with this condition in one of their eyes often have it in their other eye as well. This type of glaucoma is genetic, and individuals are born with it. As in the previous condition, the aqueous humor fluid stays trapped in the eye rather than exiting it in a normal manner. This type of glaucoma is not very common. It happens when a pigment breaks off the iris and causes a problem with the drainage angle of the eye. The drainage angle becomes blocked, and intraocular pressure begins to build in the eye. There are more men diagnosed with this condition than women. They are normally in their 20s or 30s, and they are often nearsighted. 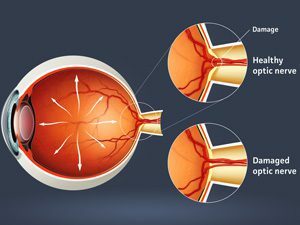 This type of glaucoma has a lot in common with open-angle glaucoma. The optic nerve can be negatively affected, causing vision loss. What makes this form of glaucoma different is that the intraocular pressure is not at abnormal levels. This type of glaucoma usually does not hurt, and it often goes unnoticed until there is quite a bit of damage. This type of glaucoma can result from taking various drugs, like corticosteroids, and certain medical conditions, like systemic diseases, trauma and uveitis. Do you suspect that you may have glaucoma? A Raleigh eye exam will help to confirm your suspicions. Receiving an early diagnosis and getting appropriate treatment may help you avoid eye damage. Our optometrists look to see if you are experiencing eye pressure. They might check on whether the aqueous humor is able to drain properly or not. If the doctor is worried about side vision loss, you will undergo visual field testing. He or she may also look at the optic nerve. Treatment should start right after you receive your glaucoma diagnosis. 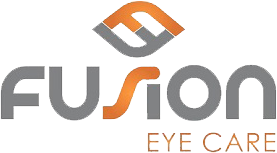 That may mean that you need surgery from an ophthalmologist that we will refer you to. Or, you may simply need to put in eye drops each day. 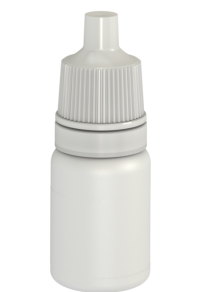 If you are prescribed eye drops, it is important to follow the instructions for the drops precisely. Always speak with your Raleigh eye doctor if you want to stop putting in the drops. Failure to treat your condition could result in blindness.